You are invited to a night of inspiration, creativity and giving back. Presented by Peter Gray, Lupe Voss and Frank Rizzieri, Catwalk for Water will showcase editorial fashion and hair inspired by water and created from earth-friendly materials. Peter, Lupe and Frank will create reduced, reused and restyled looks and aim to raise $30,000 for WaterAid Canada. leading force in the field of creative hair. Revered in the fashion industry for his manically creative cutting techniques and technical excellence, Gray’s career in hair was formed at Vidal Sassoon in London, where he become the International Editorial Director. Gray then began working with Aveda as the International Editorial Consultant, advising on ecologically responsible product development and photographic content until 2005. Gray is a prolific and imaginative image-maker, contributing to editorial shoots for a range of luxury and style titles including, Italian, American and British Vogue, Harper’s Bazaar, Numéro, i-D, Another and V Magazine. His talent has earned him advertising campaigns for brands including, Yves Saint Laurent, Givenchy, Lanvin, and Moschino and he has created statement runway looks for prestige fashion houses Armani Prive, Vivienne Westwood, Paul Smith, and Max Mara as well as cult labels, Junya Watanabe and Maison Martin Margiela. Lupe Voss’ enthusiasm and unparalleled technical abilities are responsible for her successful rise as one of the most desirable colour educators within the Aveda Network. 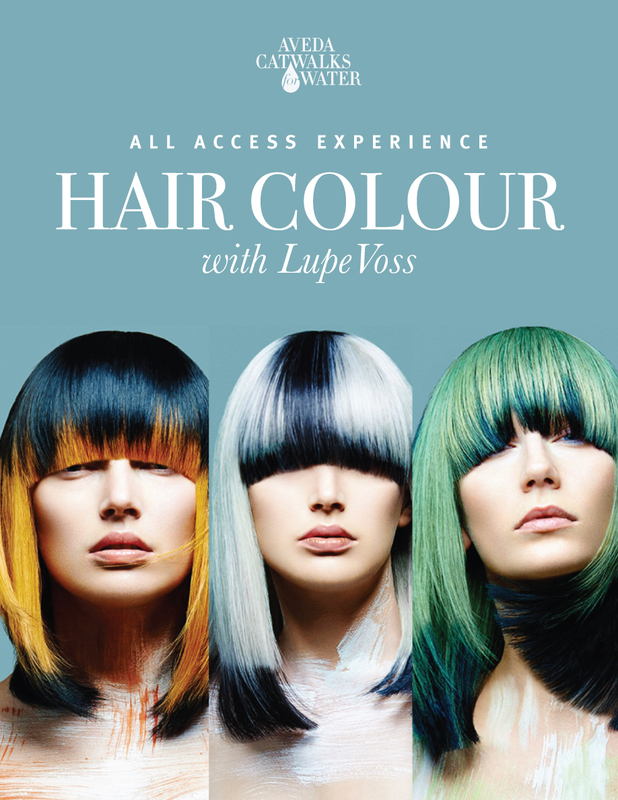 Lupe has taken part in numerous educational shows and events for Aveda. Lupe epitomizes the true spirit of inspirational education. Frank Rizzieri is a salon owner, co-founder of his own line of professional salon tools and the President of the Rizzieri Aveda School. After years of styling hair for photo shoots, fashion shows, and celebrities, Frank wanted to create styles for which there were no tools available. This is the reason Frank co-invented RSession Pro Tools. Frank now owns three salons in Moorestown, Voorhees, and Washington Township. His work has earned him the Global Salon Business Award for Excellence in Business. He is also a three-time winner of NAHA.